OWN has released a video preview of Oprah’s Winfrey’s Sunday interview with Bobbi Kristina Brown and Whitney Houston’s brother and sister-in-law. On “Oprah’s Next Chapter,” Oprah Winfrey sits down with Bobbi Kristina Brown – the only child of Whitney Houston and Bobby Brown – and the singer’s brother, Gary Houston, and her sister-in-law/manager Patricia Houston. 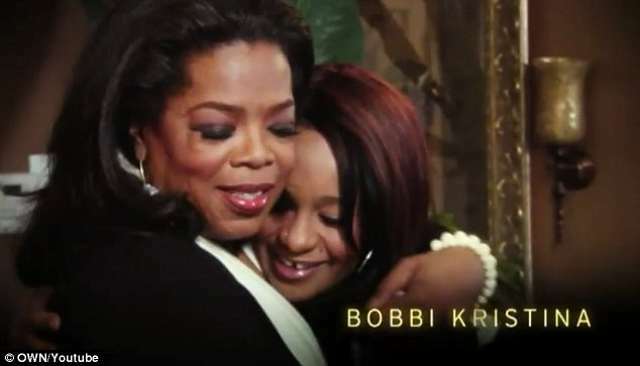 Oprah Winfrey is also seen hugging Bobbi Kristina Brown, who turned 19 on March 4, less than a month after Whitney Houston’s death on February 11. During the special, the family will discuss the speculation surrounding Whitney Houston’s death, according to a network release. Bobbi Kristina Brown will also share her favorite memories of her mother and say how she hopes she will be remembered.